Note: Will interfere with stock LS1/LS6 water pump. Requires modification to top water pump bolt or use of LS2 water pump. See page 8 of the instructions. 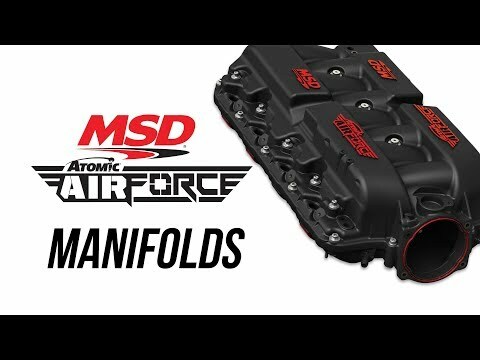 The MSD Atomic AirForce intake manifold delivers improved airflow and distribution to improve the performance of stock and modified engines. The unique bell-mouthed runner entrances maximize airflow and minimize shrouding - all while optimizing the available plenum volume for an unobstructed flow path over opposing runners. The polymer molded 2-piece design allows for easy access to the runners for porting. Atomic AirForce accepts an OEM or 103mm throttle body as well as stock or aftermarket fuel rails* including MSD's Atomic LS EFI system. 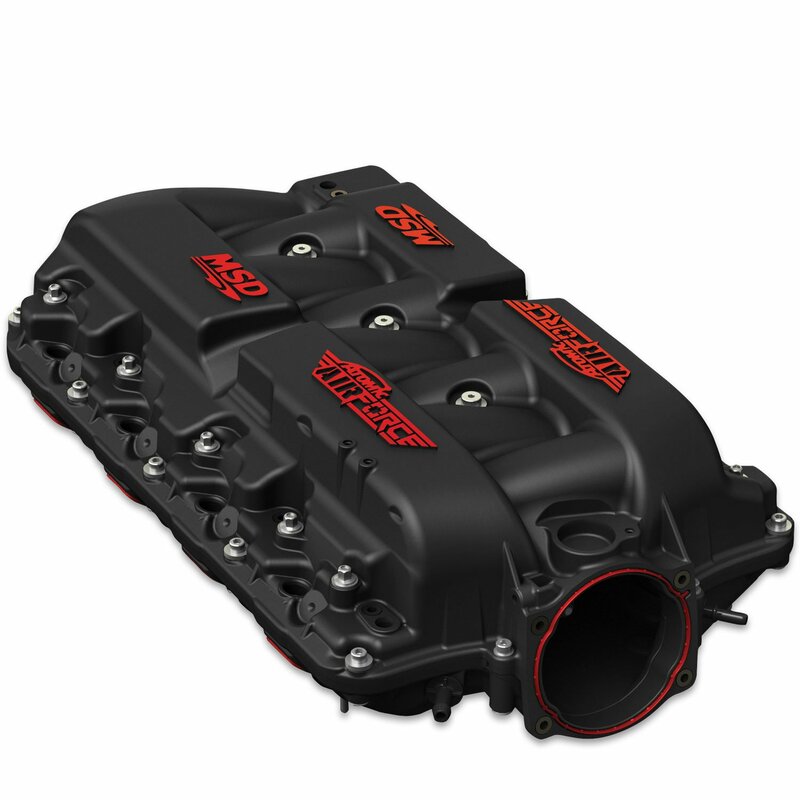 The intake bolts on and is supplied with new gaskets and hardware for a direct bolt-on package. *Note: Use of aftermarket rails may require the use of customer-supplied spacers and hardware.